Rotary presents a stone set watch from the Oxford collection, with a vertical colour accent on the bracelet and crown, and a date aperture at the 3 o'clock mark. A sophisticated timepiece that is understated and luxury at once. 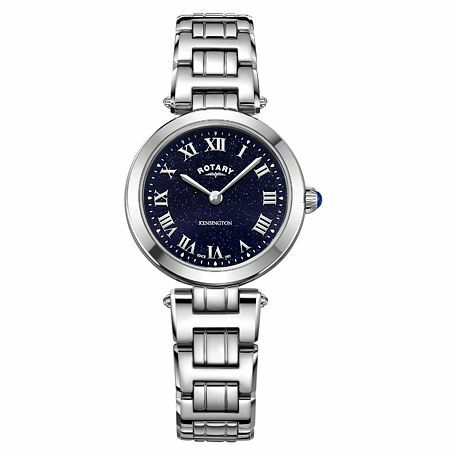 Rotary Kensington Midnight Sky Ladies' Stainless Steel Watch is rated 4.0 out of 5 by 1. Rated 4 out of 5 by Anonymous from okay watch, glad it was bought in the sales and not full price watch is nice. quite disappointed as my first one had to be returned after a week as a screw became loose. the face is quite small making the watch rather dainty.